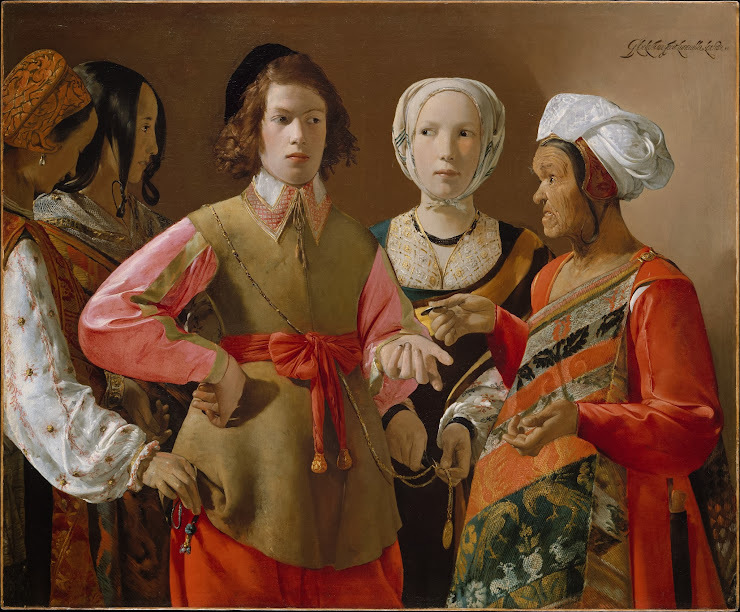 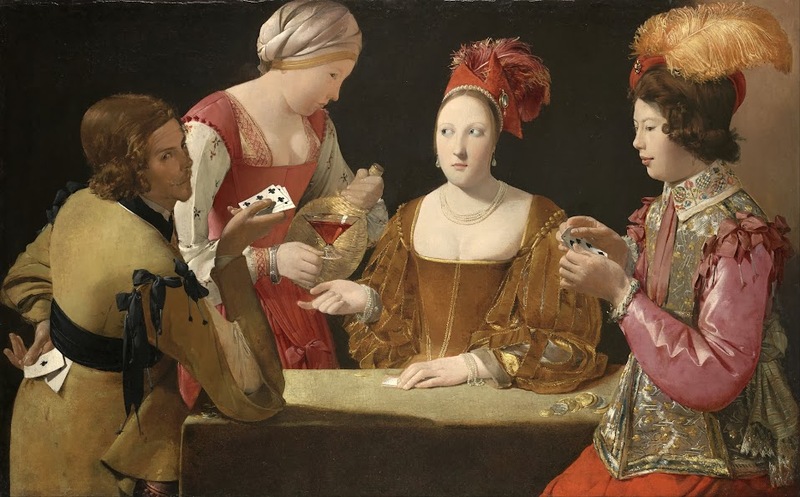 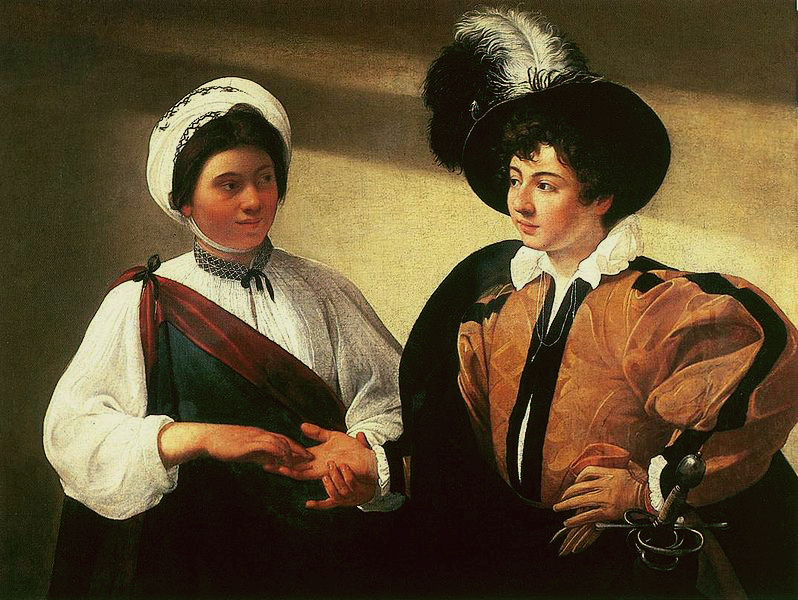 Part moral lesson, part dramatic scene, the painting of cheaters became one of the favorite themes of European genre painting in the 16th-17th-century period, causing a fascination with tricksters that still drives plots in movies and TV series today. 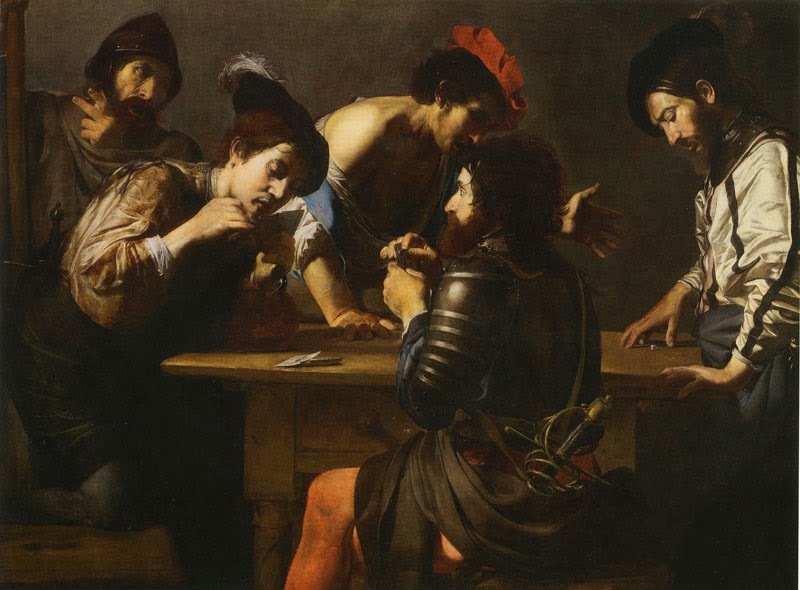 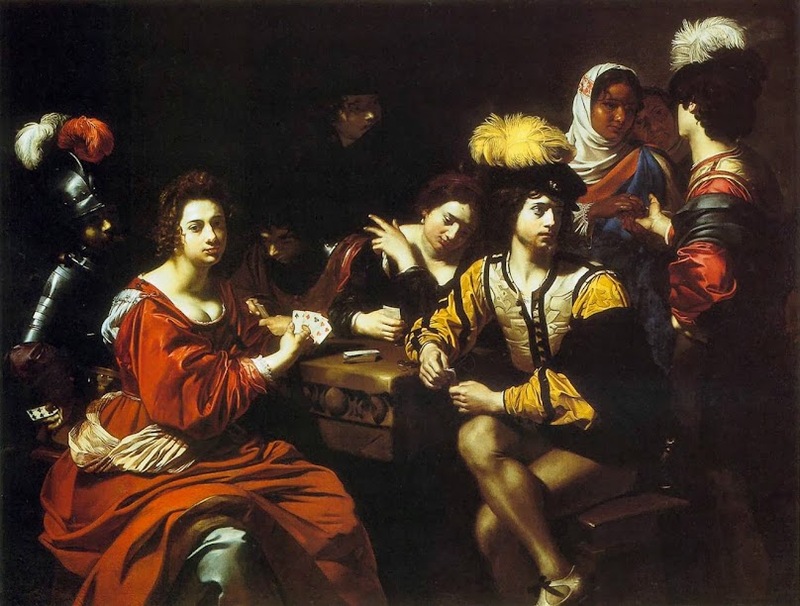 Valentin de Boulogne, Soldiers Playing Cards and Dice (The Cheats), c. 1620, National Gallery of Art, Washington, D.C. 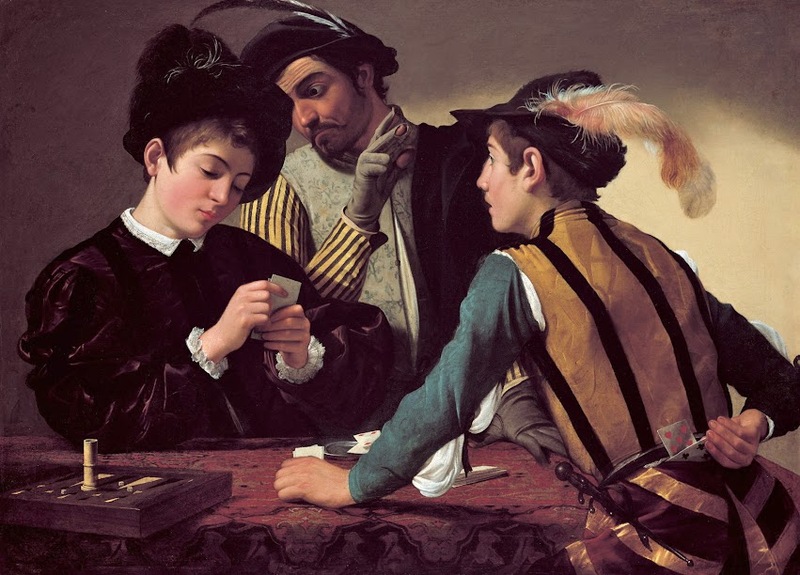 So if you see one of the many genre paintings with a card game, fortune teller or any form of gambling, look closely. 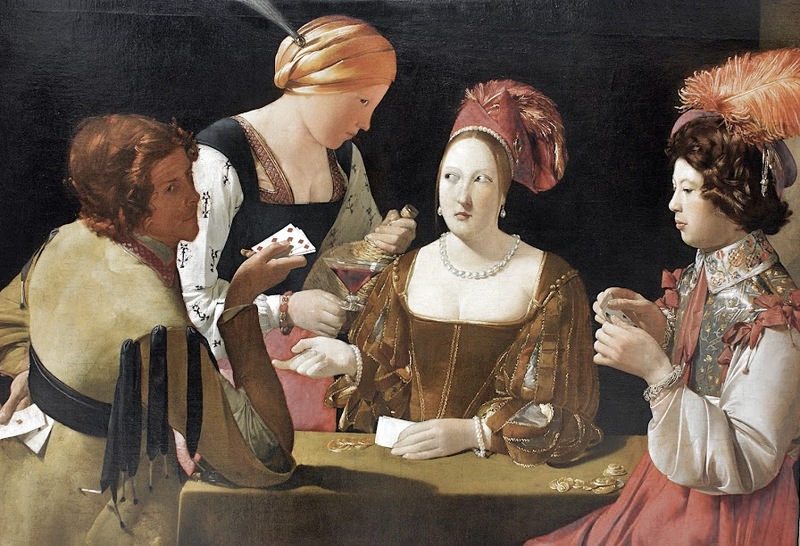 There’s often some cheating involved.